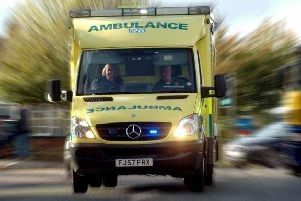 A teenage girl suffered a head injury after she was involved in a collision with a car in Battle, a spokesman for the South East Coast Ambulance Service (SECAmb) said. The collision happened in Lower Lake, Battle, at 4.51pm on Tuesday (November 20), according to Sussex Police. A SECAmb spokesman confirmed two ambulance crews attended the scene following reports a pedestrian had been hurt. Sussex Police said the road was blocked as emergency services attended.